Lily Agg of Bristol City Women, centre, heads home a goal for her team in a 1-1 draw against Liverpool Ladies. 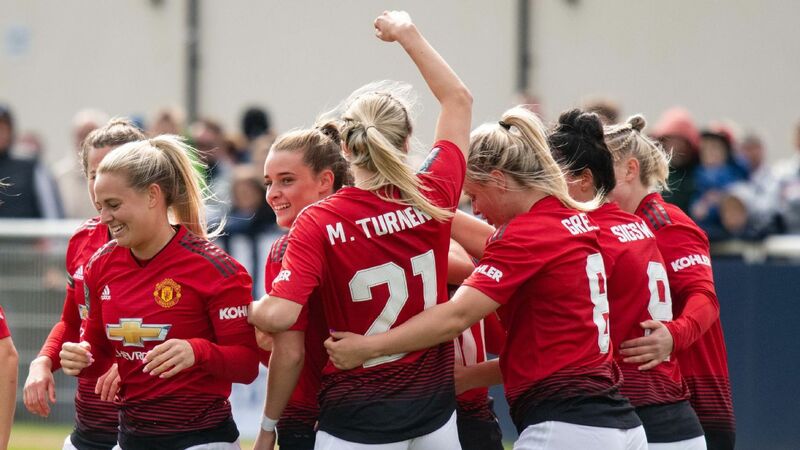 Substitute Katie Zelem's goal nine minutes from time almost won it for the Reds but Lily Agg levelled four minutes later. Visiting midfielder Kate Longhurst was sent off in the final minute for a second booking but Liverpool maintained their unbeaten run and are five points clear of Arsenal. City got their first win since promotion from the WSL 2 last year against Yeovil earlier this month -- their only victory in five Spring Series fixtures this season -- and are second bottom. Caitlin Leach turned away Caroline Weir's drive in a first half of few chances and then saved Zelem's shot on the hour. But she was powerless for stop Zelem's 81st-minute goal after she converted Shanice van de Sanden's pass. But Agg levelled with five minutes left to claim an impressive point for City before Longhurst was dismissed. Elsewhere, Arsenal Ladies secured a 4-2 win over Birmingham as they moved up to second. 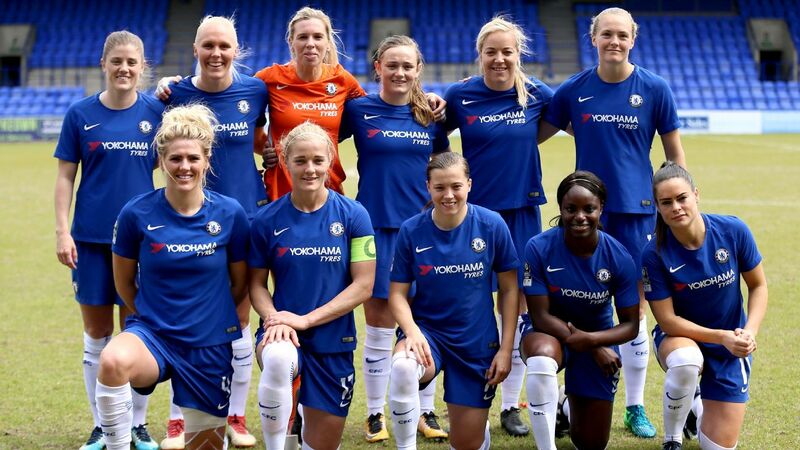 Rachel Williams headed Blues into the lead after 38 seconds but Arsenal hit back with goals either side of half-time from Heather O'Reilly and Danielle van de Donk. Williams' second of the match made it 2-2 but, once again, Arsenal responded and two headers from Louise Quinn in the final 12 minutes secured the win.